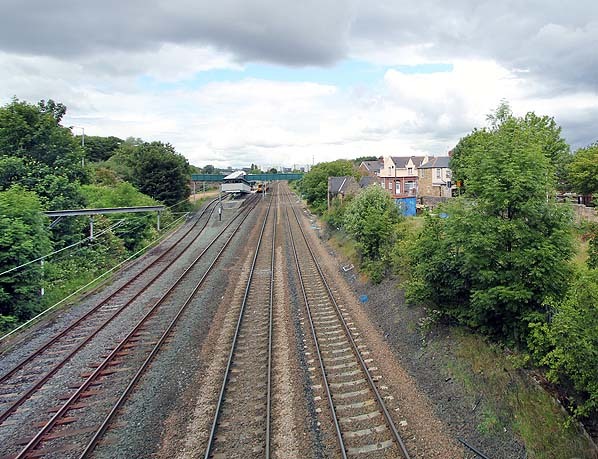 Looking west from High Street towards Felling first and second stations in June 2011. The first station’s building is to the right of the tracks, partly concealed by a bush. The current Metro station, which can be seen in the distance, occupies the site of the NER 1896 second station.